Living... at Ohtori Academy, with classmate Utena Tenjou. Ohtori has many secrets, and one of them is Anthy, an enigmatic girl whose status as the "Rose Bride" makes other students battle over her in a series of intricate duels. Since Utena is the current winner, Anthy is living with her until Utena loses her place as champion. Profession... student and Rose Bride. As the Rose Bride, Anthy is a spectator in the fencing matches fought over her and her power "to revolutionize the world." None of the student council members are really sure what that supposed power entails, but one thing's certain: everyone wants it. Interests... playing cards, tending roses, and animals, which she prefers to people. Unlike her outgoing roommate, Anthy doesn't have many friends, and she's not very comfortable around others. As she tells Utena: "It's hard for me to deal with a place where there are so many people. Somehow, they all start to look the same, and that frightens me." Relationship Status... engaged (at least technically) to whoever is the current champion. Currently, that place belongs to Utena. But if Utena loses, then Anthy has no qualms about switching her loyalties: "I'm the Rose Bride. I must do whatever the winner of the duels tells me to do." Challenge... helping the current champion of the duels. Though she's eager to help whomever she's engaged to, Anthy doesn't seem to have many goals of her own. She gets bullied, slapped, and abused, but still doesn't seem interested in fighting back. Personality... quiet, polite, and unfailingly submissive. As seemingly blank as her smile, Anthy is ready to be whatever the current champion asks her to be. 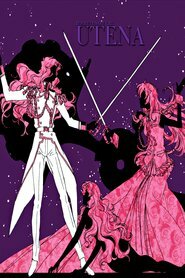 For shy Miki, Anthy is a pure version of his estranged sister; for cynical Juri, an image of the girl who once manipulated her; and for idealistic Utena, a helpless princess to be saved. But Anthy is a little too eager to fit into her assigned roles, and there are signs that this princess may not be as innocent as she seems. Anthy Himemiya's popularity ranking on CharacTour is #1586 out of 5,000+ characters. See our top-ranked characters and read their profiles.